Cody Fern's Golden Globes goat shoes could be 2019's shoe trend. 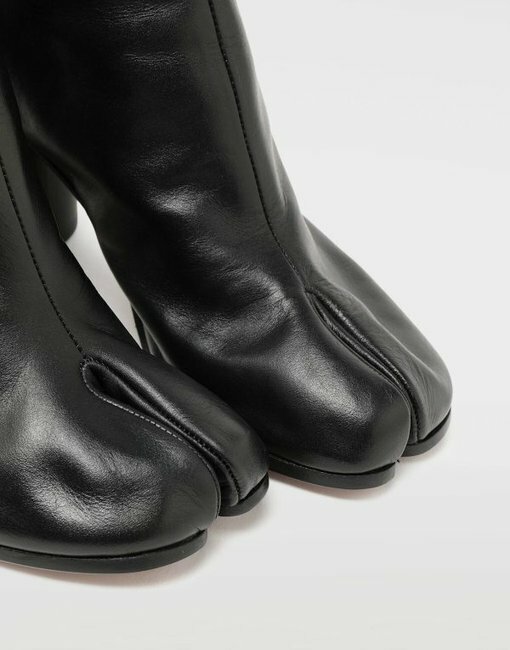 Apparently 'goat shoes' are 2019’s biggest fashion trend and can we please get off now? You know those rides that seem fun at the beginning but by the end, you wish you’d stayed firmly on the ground with a Dagwood Dog? This years’ alleged new shoe trend is one of those rides. 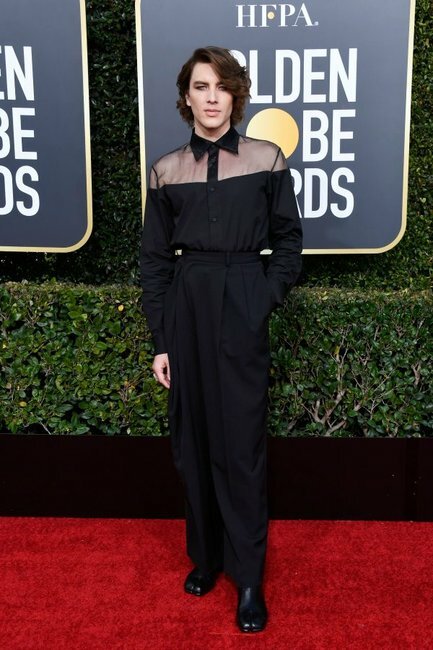 The footwear in question made their first appearance for 2019 on Monday’s Golden Globes red carpet on American Horror Story actor Cody Fern’s feet. They’ve been accurately dubbed ‘goat shoes’ because, well, they make the wearer’s feet look like goat feet. 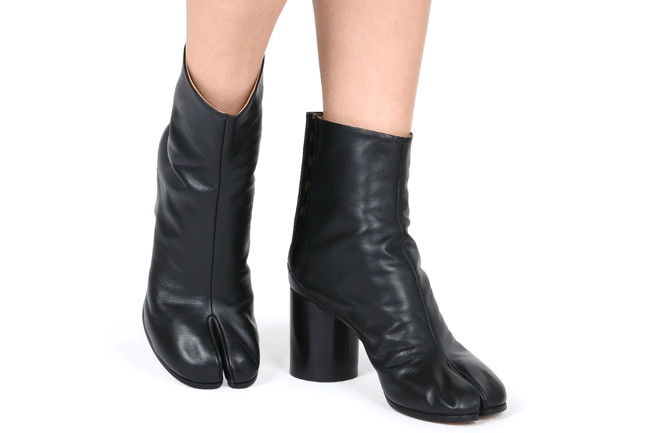 Fern’s boots actually have a far more eloquent name – the Tabi boot from luxury French fashion house Maison Margiela. Retailing for $1,393.95 AU plus tax and shipping costs, the joke is kind of on us, no? Cody Fern wearing the &apos;goat shoes&apos; a.k.a. Tabi boots at the 2019 Golden Globes. Image: Getty. Here&apos;s a close up of the toe detailing. Image: Maison Margiela. As pointed out by GQ&apos;s Samuel Hine, Margiela&apos;s Tabi boots aren&apos;t new. In fact, they&apos;re 30 years old. Martin Margiela debuted the Tabi shoe in his very first Maison Margiela runway show in 1989. The Belgian designer who founded the fashion house in 1988 is said to have based the Tabi off traditional Japanese jika-tabi, work socks that have a divided toe. As models drenched in red paint walked down the runway, they left behind a distinct goat-like footprint, something which had never been done before. In a 2015 AnOther profile of Geert Bruloot, the first man to stock Maison Martin Margiela&apos;s Tabi boot, Margiela reportedly told him the Tabi boot "is the most important footprint of my career: it’s recognisable, it still goes on after 25 years, and it has never been copied." 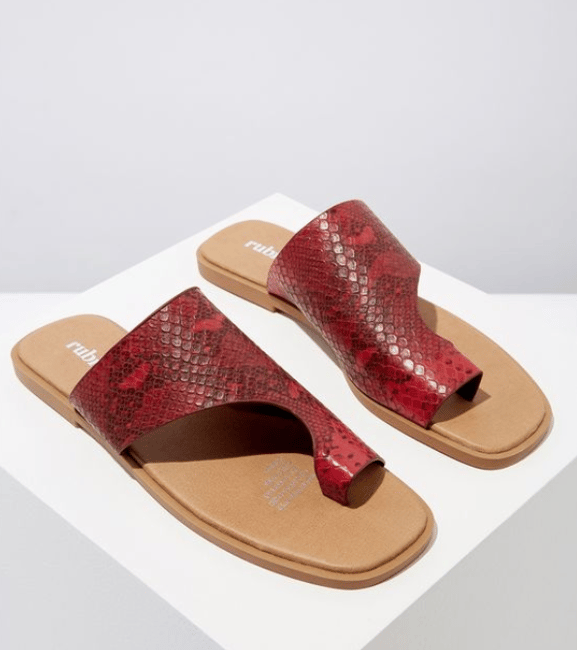 The split toe detail (which looks a fair bit like a goat&apos;s hoof) is now the Paris-based designer&apos;s iconic signature, and also comes in ballet flats, chunky heels and stiletto styles, as well as heeled boots, flat boots, slides and sneakers in menswear. 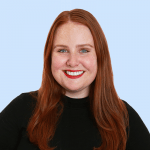 Twitter users&apos; reactions to Fern&apos;s Tabi shoes were mixed - half are living for them, a quarter are offended Tabi shoes are being called goat shoes, and the rest want someone to please explain. So far, this specific style of shoe hasn&apos;t emerged on the major fast fashion websites yet (and might not reach Australia until the winter months), but it does look like accentuating one&apos;s big toe is on trend. 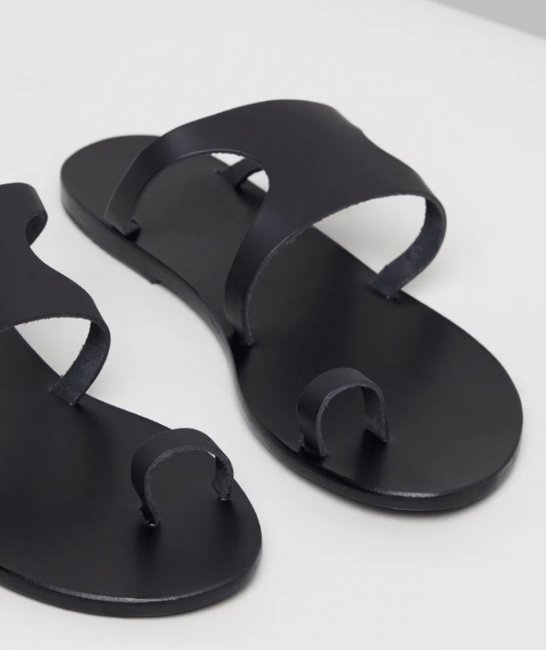 Retailers like Cotton On, Kmart, The Iconic, ASOS and have all recently featured shoes with looped toe detailing, like a modern take on the classic Grecian-style sandals we&apos;re familiar with. Thoughts on these black heels with toe detailing? Image: Rubi. I think I could get around these flats. Image: Rubi. This luxe pair from The Iconic are sleek. Image: The Iconic. Anything leopard goes. Image: ASOS. Despite this, and their rich history, we still don&apos;t know how to feel about these Tabi shoes. Or whether we&apos;d wear them. Here&apos;s hoping they die a quick, painless death... along with dad sneakers. They can go now too.